Investing.com – Oil prices headed lower to start off the week, as traders continued to fret over worries of oversupply. New York-traded fell 37 cents, or 0.55%, at $67.22 a barrel by 9:34 AM ET (13:34 GMT), adding to last week’s 2.2% drop, which was its third-straight weekly decline. Meanwhile, , the benchmark for oil prices outside the U.S., traded down 26 cents, or 0.33%, to $77.36, following a weekly fall of 2.7%. After last week’s sharp decline, data from Baker Hughes showed on Friday that U.S. drilling activity continued to climb. The U.S. oil rig count, an early indicator of future output, rose by two in the latest week to 875, the highest since March 2015. U.S. crude oil production has increased by almost a third since mid-2016 to around 11 million barrels per day. The increase in U.S. output added to last week’s data on U.S. crude stockpiles that showed a fifth consecutive increase of 6.3 million barrels, nearly twice the amount forecast. 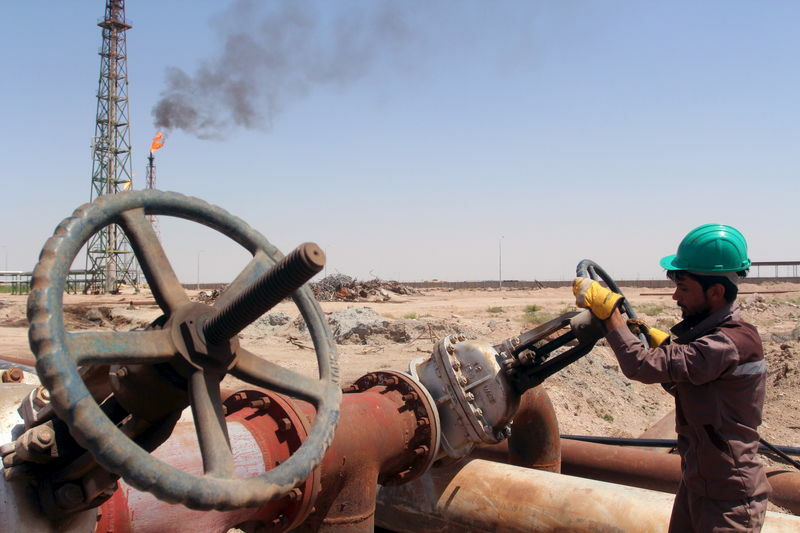 Limiting losses, market participants continued to weigh concerns surrounding potential supply shortages from looming U.S. sanctions on Iran, the third-largest producer in the Organization of the Petroleum Exporting Countries (OPEC). The sanctions, due to come into force Nov. 4, are being reinstated after U.S. President Donald Trump pulled out of the Iran nuclear deal earlier this year. In other energy trading, slipped 0.01% to $1.8149 a gallon by 9:37 AM ET (13:37 GMT), while lost 0.89% to $2.2826 a gallon. Lastly, traded down 1.57% to $3.135 per million British thermal units.